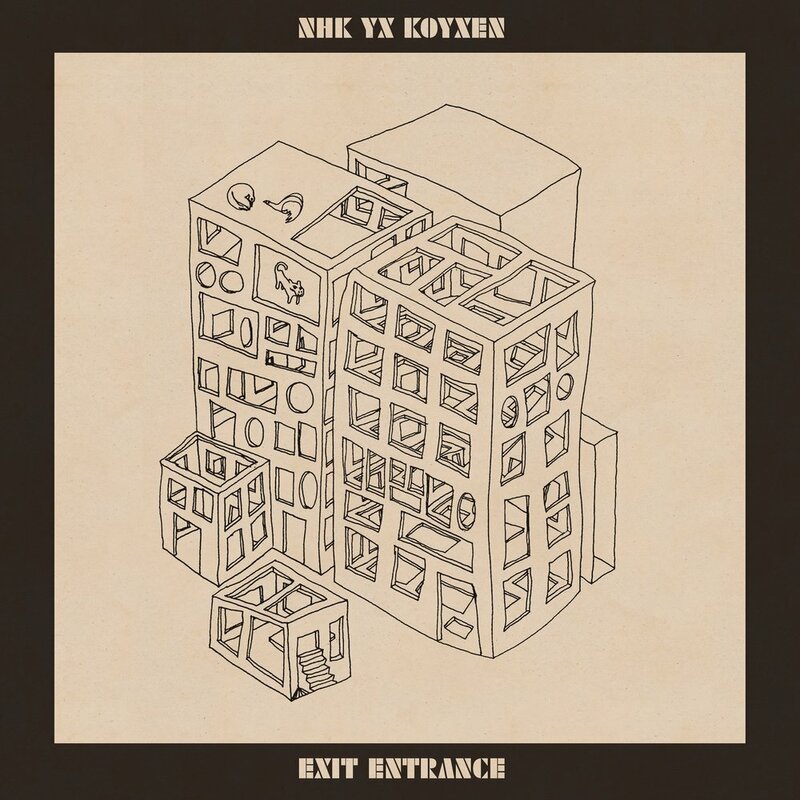 Exit Entrance is the DFA debut for Osaka’s Kohei Matsunaga aka NHK yx Koyxen. ‘Exit Entrance’ is a collection of new songs that snap and flicker unlike anything Kohei has done in the past. There is a clarity and beauty to these tracks that bursts out of the speakers in a three dimensional way, matching the 3D glasses that the artist wears during all his live performances. The elegant arrangements and crisp drum breaks match the concise song titles – Kohei foregoes the typical impenetrable track names made up of numbers and shorthand, and opts for a more direct emotional sincerity through the sonic themes of the record. Not all the music here falls into the same exact formula. As the album heads towards a close, after several tracks of harmonious beauty, we get ‘Outset (for Mika Vainio)’, a somber hushed techno tune, dedicated to his late friend and musical collaborator, who unexpectedly passed away earlier this year as the record was being completed. What follows after this track is perhaps the real catharsis, as ‘Dented’ ominously kicks off with acidic stabs and rolls into a tumultuous dirge of gritty techno. In this regard, ‘Exit Entrance’ can play out like a life cycle, a mini opera of birth and beauty, of sorrow and mourning. It is one of the most direct and honest records Kohei has ever made, and DFA is beyond proud to present this work from such an esteemed creative force in the electronic avant-garde world of music.